Father’s Day doesn’t have to be just a one-way street where dad receives breakfast in bed and then everyone goes their separate ways. Dads are much more likely to want some sort of experiential activity that can be talked about for years to come – better yet, getting more people involved means more fun to go around. A short excursion to a new city that’s just a few hours away – paid for by you, of course – can be simple to coordinate and unexpectedly relaxing. Once there, you can tour the town as a group and let him pick what restaurants, bars, or events he would like to go to. Many dads are proud of their homes and their lawns – ever notice how obsessively they cut and water the grass? Activating this pride can be a rewarding experience for fathers everywhere, and all you have to do is give them the avenue to make even further tweaks to their prized possession. The NRF reported gardening supplies are the sixth-most common Father’s Day gift, and for good reason. Various equipment, clothing, and materials can be bought for your dad, but what about going one step further and gifting seeds for vegetables and starting a contained garden? Or, sign him up for a local gardening workshop that teaches useful lessons on how to provide clean, fresh food for your family and how to transform your lawn into a profit-producing venture. Fathers may not seem like the ideal recipients of flowers, but a crafty floral arrangement can go a long way toward both sprucing up the home and complementing office decor. 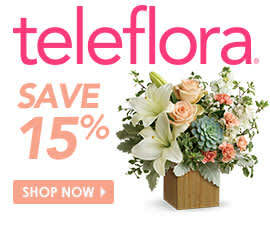 Teleflora provides a number of popular flowers and bouquet options specifically designed for all the different kinds of dads out there. Consider the vibrant and practical Garden Parade, with festive blooms in bold colors or the Peaceful Zen Garden that’s easy to maintain and comes with river rocks and natural river canes. If he is a classic car lover, the Vintage Ford Pickup Bouquet is the flower arrangement to send. It’s made up of different blooms and rests in the bed of one-of-a-kind collectible ’48 Ford Pickup. With so many options, you are sure to find his perfect fit! Shopping for Father’s Day doesn’t have to be predictable or difficult. Going out of the box a little bit will make sure Dad has an amazing day and that your money is well spent! Let us know what you’re buying Dad this year below!